Believe it or not, I have never made a sampler quilt. The Goose Tracks quilt I made several years ago by HoopSisters is probably the closest I have come. I always thought a sampler quilt would be a good option for building skills in various types of quilting. So when Pat Sloan and Jane Davidson announced the Splendid Sampler earlier this year, I decided to give it a whirl. The Splendid Sampler is a 100-block sampler quilt with 6″ blocks that are traditionally pieced, paper-pieced, appliqued, and hand-stitched. And we have a whole year to make these 100 blocks. Piece of cake. After all, what’s one more project? Of the sampler quilts that I have admired over the years, I really like those with a variety of colors best. For the first several months of this adventure, we had not yet sold the old house, purchase a new house, or moved, so my stash was still in storage 5-hours away. So some wonderful ladies I met on the internet sent some fabric my way so I could get started. I am so thankful to them. To that, I was able to add a few scraps I had laying around, and ended up with a good mixture of pinks, peaches, blues, and greens. I sorted everything into light, medium, and dark values so it would be easier to pick fabrics for each block. And the adventure began. Blocks are released twice a week. I was able to stay on top of it until mid-April when we moved. And then I got behind. And as you can see, I haven’t done block 11. I’m not a huge fan of hand embroidery It’s beautiful and I greatly admire it. I just don’t want to do it. So any hand-stitched blocks may take me a bit longer. I really should do block 11. It is titled ‘Crocheted Thoughts’, and since I also crochet it would be good to include it in my quilt. In fact, I have actually thought about crocheting it, rather than embroidering it. They are also releasing ‘bonus’ blocks as we go along. Here is the first bonus block. This may just become my block 11. 🙂 We shall see. I have a few more blocks finished, but not another dozen yet. I plan to work on them more this weekend, so hopefully I will have another set to share with you shortly. I think they have released block 52 60, so I fallen behind more than I would like. Are you participating in the Splendid Sampler? If so, have you been able to stay current with this project? Oh, I had grand plans in the beginning, and then life got in the way. Isn’t that how it always is? Linking up with Finish it Friday at Crazy Mom Quilts and Can I Get a Whoop Whoop at Confessions of a Fabric Addict. 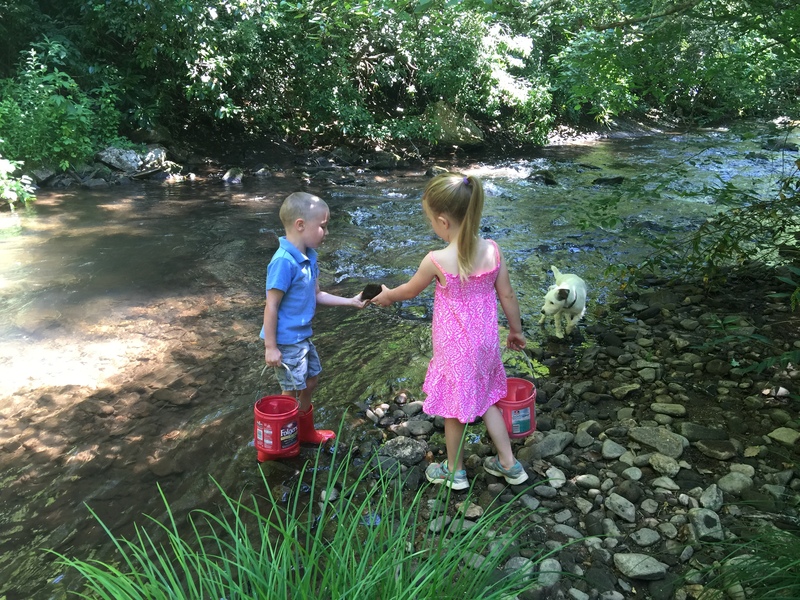 Even though I haven’t blogged much this summer, I have been working on several new projects. 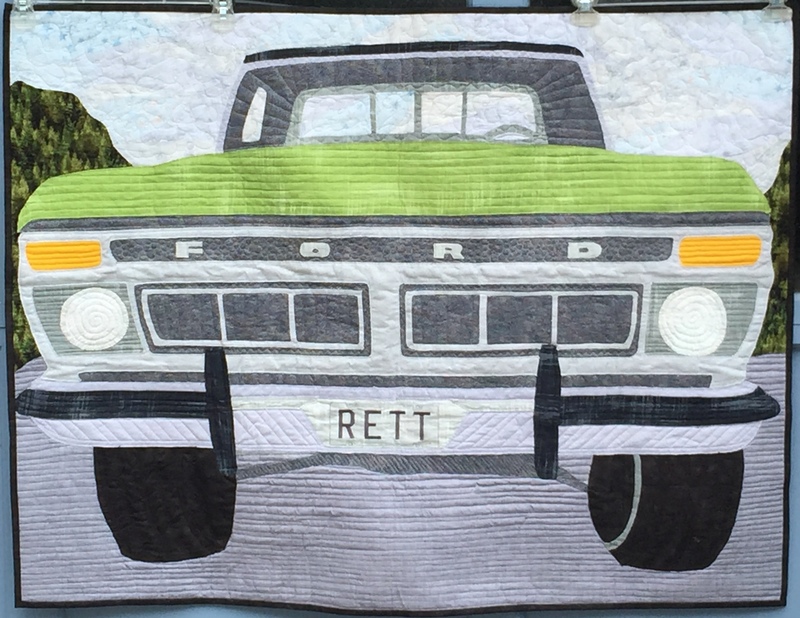 In June, a friend and I gathered our collective resources and made this baby quilt. She had been asked to make the quilt as a commissioned piece, and she doesn’t like to applique. I, on the other hand, LOVE to applique! So we decided to join forces to make it happen. I did the applique, she did the piecing, and we had one very happy client. Last but not least, our nephew married the love of his life in the month of June. It was such a beautiful and fun wedding. I am so very happy for them, and knowing that their marriage is built on the love of our Lord Jesus Christ makes it that much more special. July we celebrated our youngest son’s birthday. 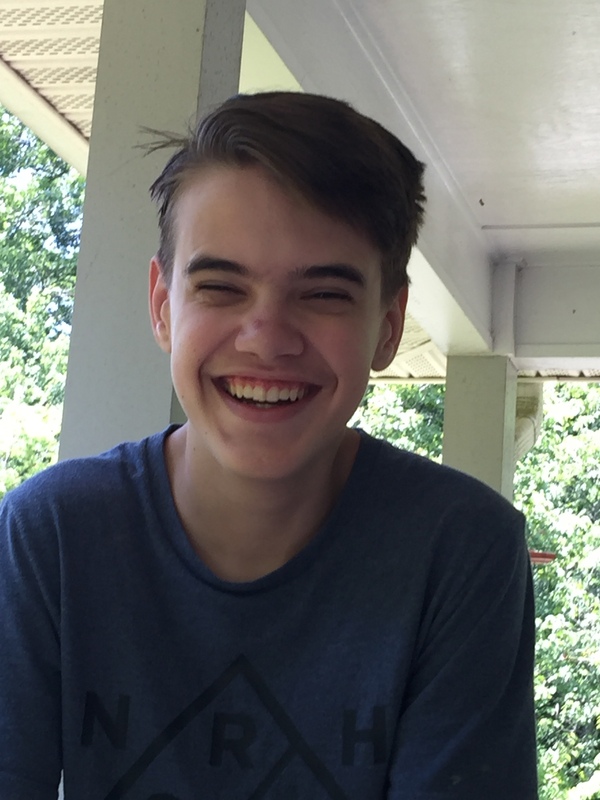 He turned 16 and he is also growing up much too fast. He’s my baby so I want to keep him small as long as possible. But he grew taller than me this past year. I wouldn’t say that he is spoiled, although his sister and brothers would probably not agree. I just like to think that since his older siblings have moved out, we, the parents, are less stressed and are therefore usually nicer. HAHA! Isn’t he the lucky one! August has kept me busy with taxes and a secret project. Even though I left my full-time tax position over a year ago and am now working in real estate, I still do some taxes on the side. So, several months each year (Feb-April and Aug-Oct) I might have to spend several weekends working on business and individual tax returns. Wait, did I just mention something about a secret project? Well, it’s true. I do have a secret project in progress. It will be a few months before I can share the whole quilt with you, but here’s a few sneak peak photos. This has been my quilting project for the month of August. I plan to have the top finished this weekend, then it will be sent on to my long-arm magician. No way am I going to try to quilt this one myself! So, you see, I have been UP TO SOMETHING! 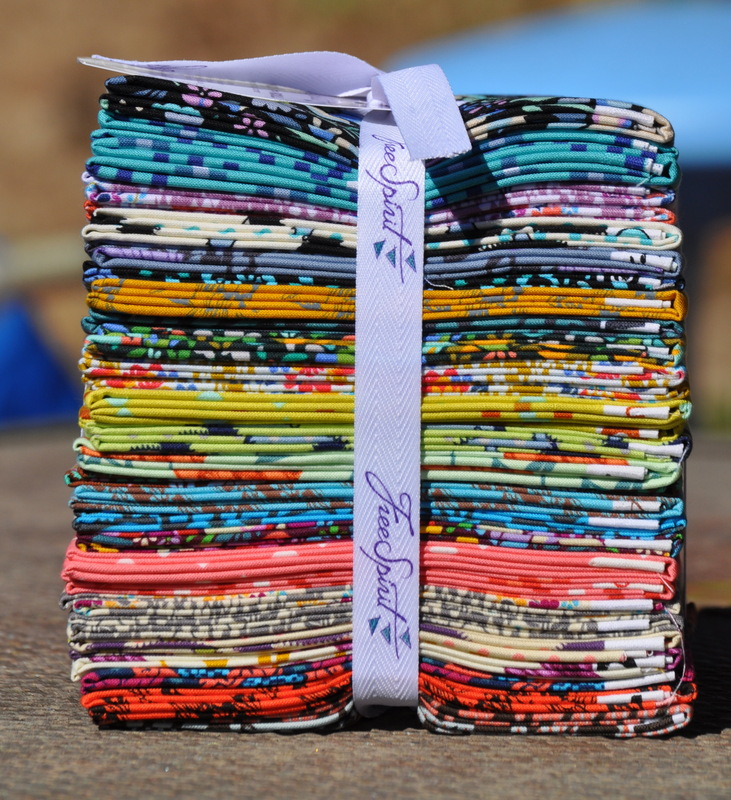 Linking up with Needle and Thread Thursday at My Quilt Infatuation, Finish it Friday at Crazy Mom Quilts, and Can I Get a Whoop Whoop at Confessions of a Fabric Addict. Happy 2016! 2015 was a year of many changes, some of which I haven’t seen the purpose for yet, so I’m very excited to see what 2016 brings. 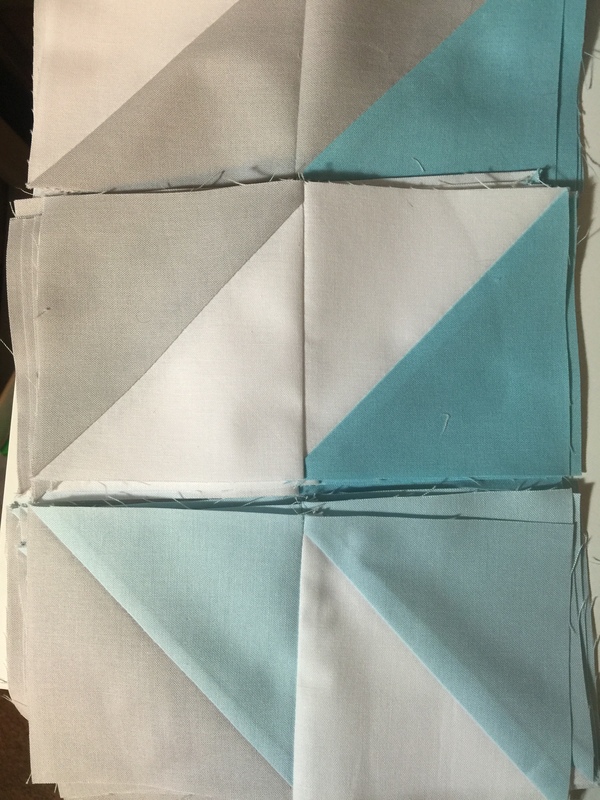 I’m starting my sewing/quilting year off with a project I just love. The two oldest grand kids just left after visiting for a week. While they were here, they batted their little eyelashes, smiled their sweet smiles, and asked me to make a pillow for their mom. They decided they wanted an anchor on the pillow. So I pulled out my small scraps- blue they said. Well after looking at the scraps we decided to use turquoise colors instead of blue. We used various turquoise values and prints and they helped lay them out onto the traced image we had of an anchor. And then we decided to add the heart in coral to show how much they loved their mom. From my stash, we used a light grey print for the background and raw edged appliqued the anchor to it, and then used a dark grey solid as the border. At the last minute I decided it needed a little something extra so I added the piping around the edges. I love how it turned out and honestly hated to give it away. I would be happy to have it in my house. I just love the beach, and since we’re living in the mountains now, it made the sand, sun, and surf seem just a little closer. 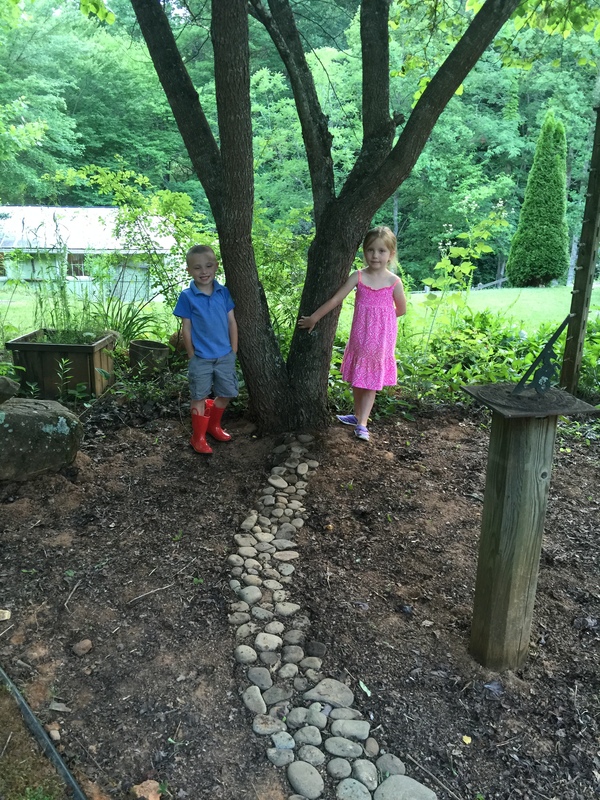 Finished at 15″. Used a 16″ pillow form. The back is done using an envelope closure so the pillow cover can be removed and washed if needed. I have a special quilt to share with you today. 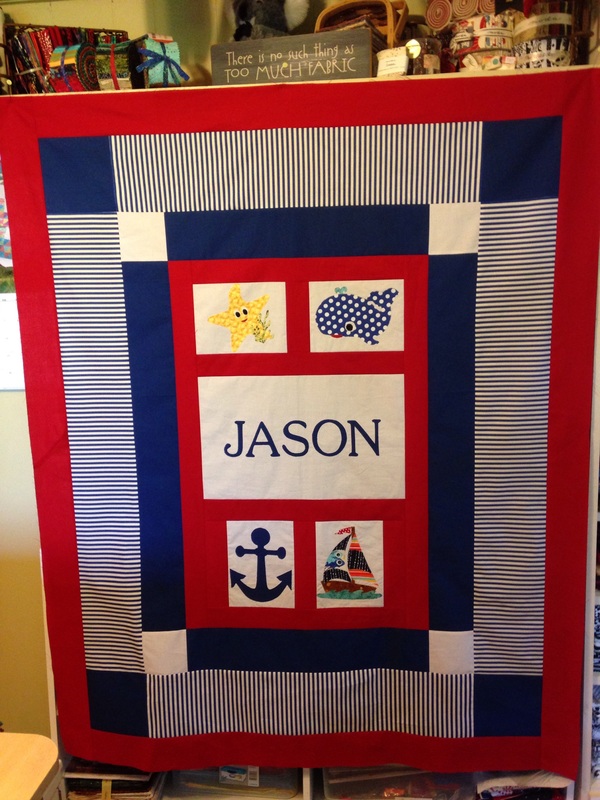 I was asked to make this quilt for a new baby of a long-time family friend. My family has known this family since before I was born (I’m now in my late 40s) and they are still very precious friends. I take that back… they are family, pure and simple. 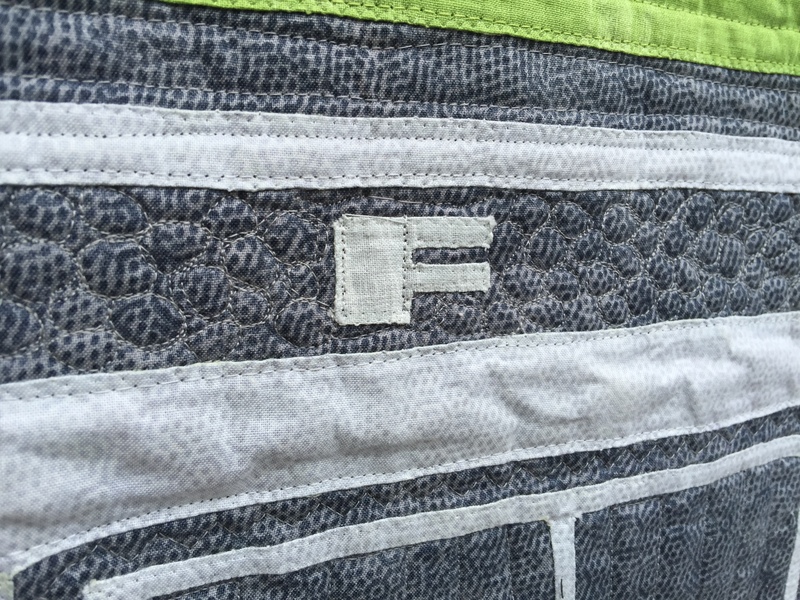 Another reason this quilt is special is because I’ve never made anything like it before. It was a huge challenge. I honestly didn’t know where to start. 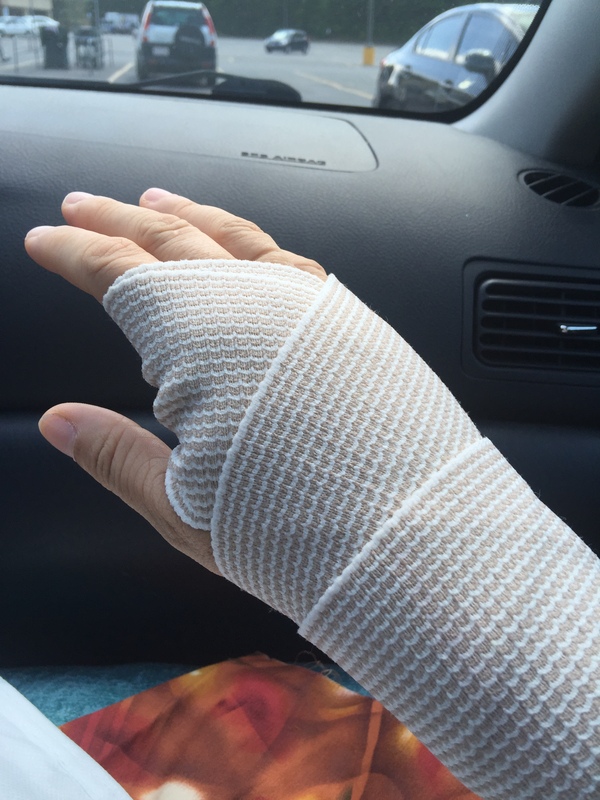 But if you’ve followed my blog for any length of time at all, you know I like challenges. It intrigued me… So I decided to give it a try. 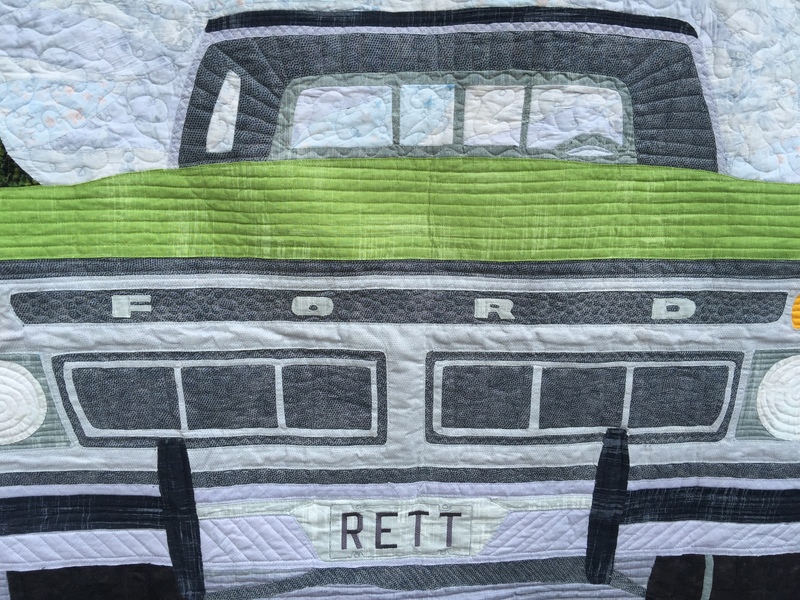 I was asked to make a quilt of this truck, but with a green hood. First I had to determine what details I wanted to include and which to leave out. I didn’t feel comfortable with including every little detail, but obviously I needed to include enough to make the truck look good. Then finding fabric that would work was also a bit challenging. What values of grey would work for the metal parts versus the chrome? I didn’t want to use metallic. And what to use for the green hood? I really wanted to find a fabric that was green with some rust spots but ended up settling with the Michael Miller painter’s canvas green there in the middle. In fact, I used the painter’s canvas in several grey tones as well. I really liked the texture it provided. 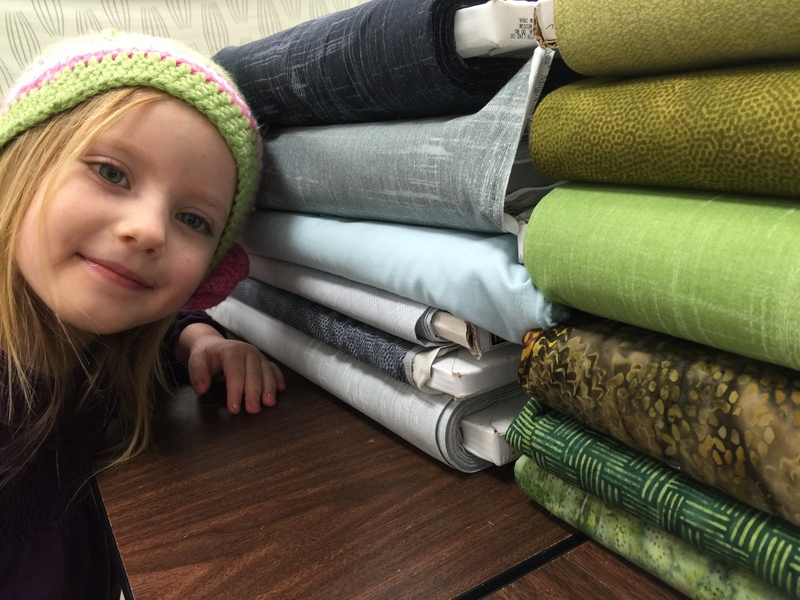 Eve went fabric shopping with me. She was a great help! . But, how do I actually put it together? All my applique quilts up to now have been smaller pieces raw-edged appliqued onto a solid piece of fabric. But in this case, the entire quilt needed to be appliqued since there wasn’t a background single piece of fabric to work with. So, I decided I needed help. 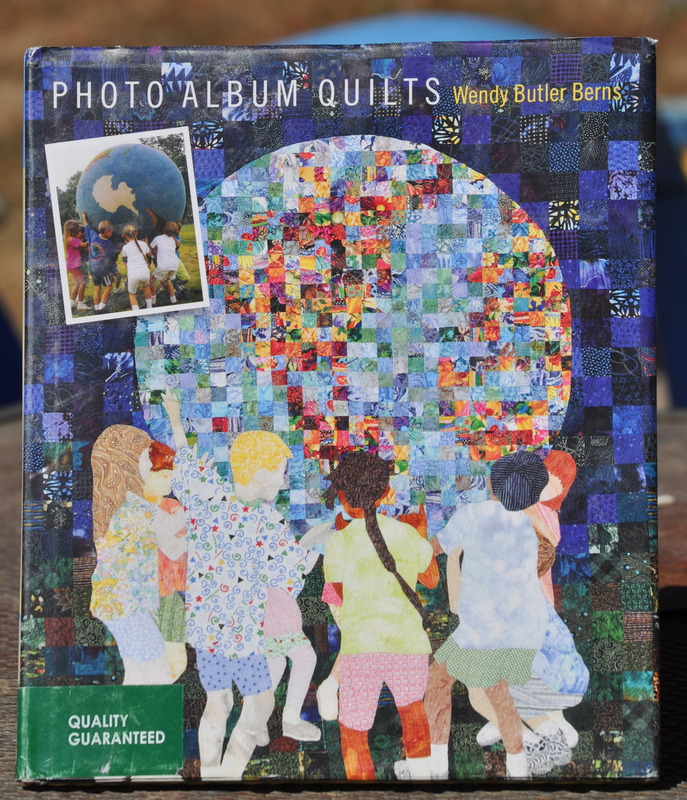 I found a class on Craftsy called Pictorial Quilting Techniques by Wendy Butler Berns. I watched the whole class and then got busy planning the quilt. 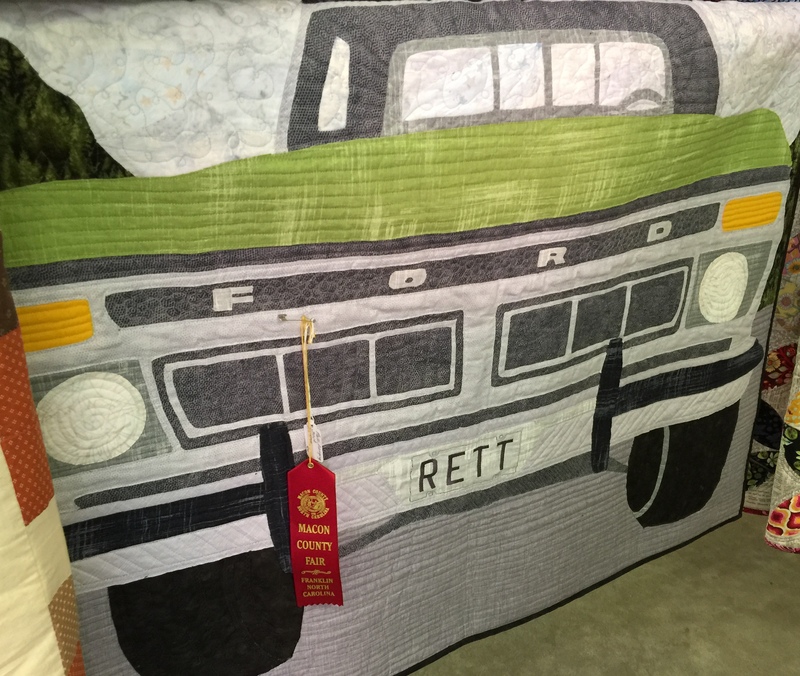 And I won 2nd place at the local county fair. My mother requested that I make some baby bibs with ‘mountain colors’. My interpretation of mountain colors are colors such as brown, green, rust, and beige. You may recall that our house is on the market and therefore most all my fabric in storage. But, even if I had access to my stash, I wouldn’t have any of these colors. I think if I had to sew with brown on a regular basis, it would depress me. It’s just not something I buy. And not having a job at the moment means that I don’t have extra money to spend. So, I racked my brain trying to figure out where I could get some fabric in ‘mountain colors’ on the cheap. And it occurred to me that men’s cotton shirts would work. 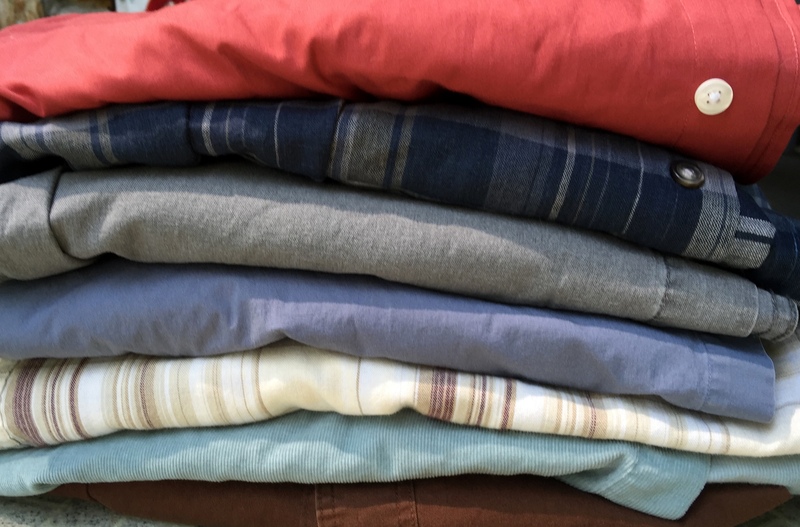 So… off I went in search of used men’s shirts. I’m not sure if this is true for all of the NC mountains, but Macon County has a ton of thrift stores. They are everywhere! (or at least they seem to be) My google search found about 2 dozen thrift stores in a county of just 30K people. And they don’t disappoint. Many wonderful things can be found at the thrift stores in the area, but on this day I was looking only for men’s shirts. And I found them! One of the local stores was having a sale of just $1 for each item of clothing. So I bought some shirts (and one pair of khaki slacks) in mountain colors, took them home and washed them, and started cutting them up. 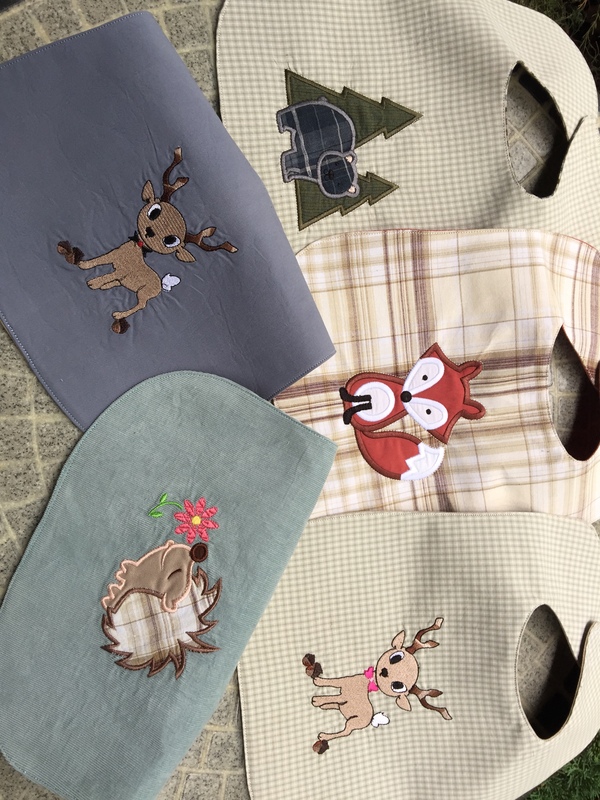 I downloaded a bib pattern from JRoxDesigns and purchased a few ‘mountain’ animal embroidery files from Planet Applique. I couldn’t find a deer design that I liked, so I digitized my own designs for the deer. I also added the flower to the hedgehog design. And over the next 2 weeks or so, I made 5 bibs in ‘mountain colors’. For the large and extra large shirt sizes, I can get 4 bib cutouts from each shirt — one on each sleeve and two from the back. And then extra fabric was used to applique several of the animals. 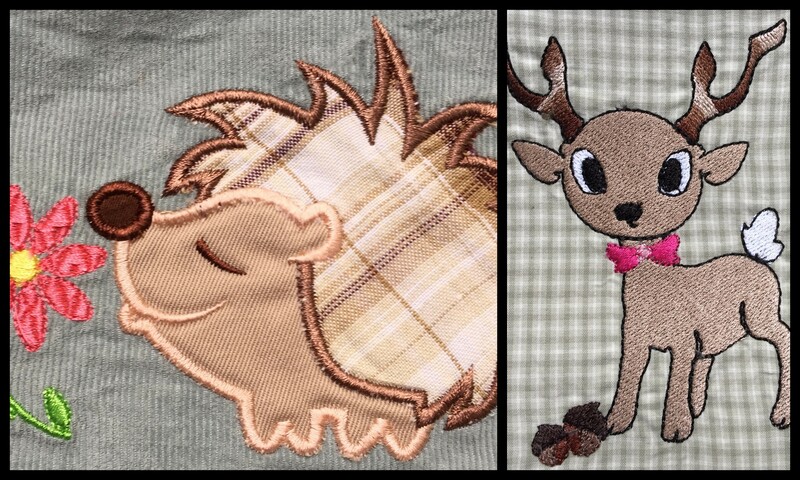 So the same shirt used for the fox bib was used to applique the hedgehog spines. The khaki slacks were cut up and used as a back for each of the 2 deer bibs, and was also used for the hedgehog body. The rust colored shirt was used for the body of the fox, and so on. Each bib was also lined with a thick interfacing for support. I am not impressed with the shirt used for the male deer. That shirt was from Banana Republic, and although it was really nice fabric (I think it may have had some spandex in it although it said it was 100% cotton), it stretched and wrinkled way too much when embroidered. And what you see is my second take. The first was even worse. The hedgehog smelling the flower is my favorite. They are so cute together! The deer isn’t too shabby either, if I do say so myself. There is still plenty of fabric left over for more projects. I saw a tutorial for a cute apron made of the front of a man’s shirt. And I have the shirt fronts left on almost all the shirts, so maybe I’ll try that next. Or, I probably have enough left over to make a quilt, if I decide to go that route. Have you repurposed clothing for something other than it’s intended use? I’d love to hear about it. I love new ideas. Linking up with Link a Finish Friday at Richard and Tanya, and Can I Get a Whoop Whoop at Confessions of a Fabric Addict. 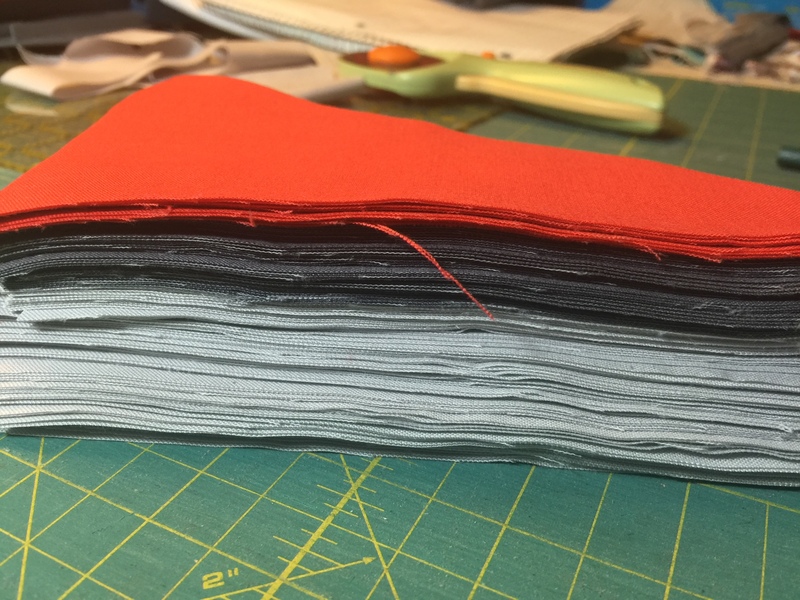 I splurged a little and bought a fat quarter pack of Honor Roll, a recent line by Anna Maria Horner. This line was inspired by her Great Grandmothers handkerchiefs, and I do believe that that is what I love above it. The prints are a mixture of florals, geometrics, and whimsy little prints and remind me of prints in my grandmother’s quilts. I absolutely adore the vintage florals and the starlings. I haven’t nailed down a plan for this line yet, but I am leaning towards making a quilt for snuggling on lazy Sunday afternoons. They read more traditional to me than what I’m typically drawn towards, but I am expanding my horizons. 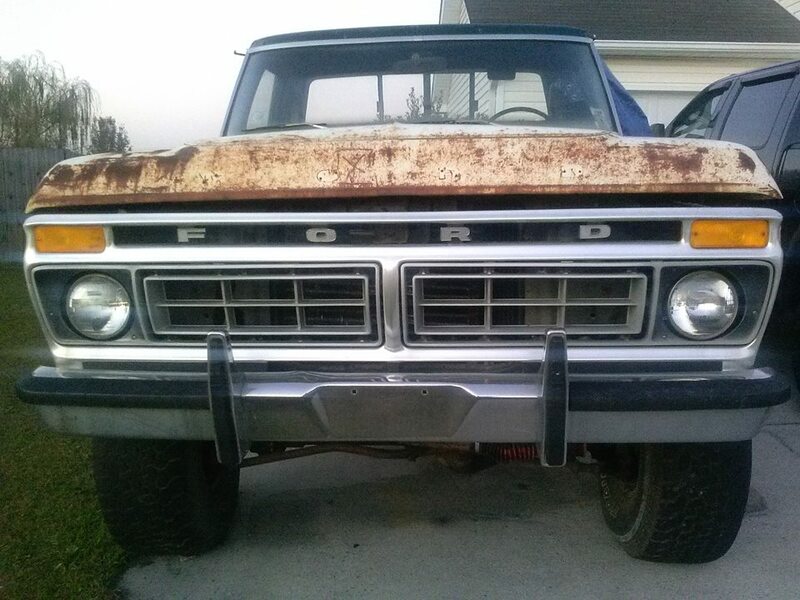 I found this fat quarter bundle of Honor Roll on Massdrop for a great price. They are able to order in larger quantities and therefore offer a product at a discounted price assuming they have a confirmed number of items sold. 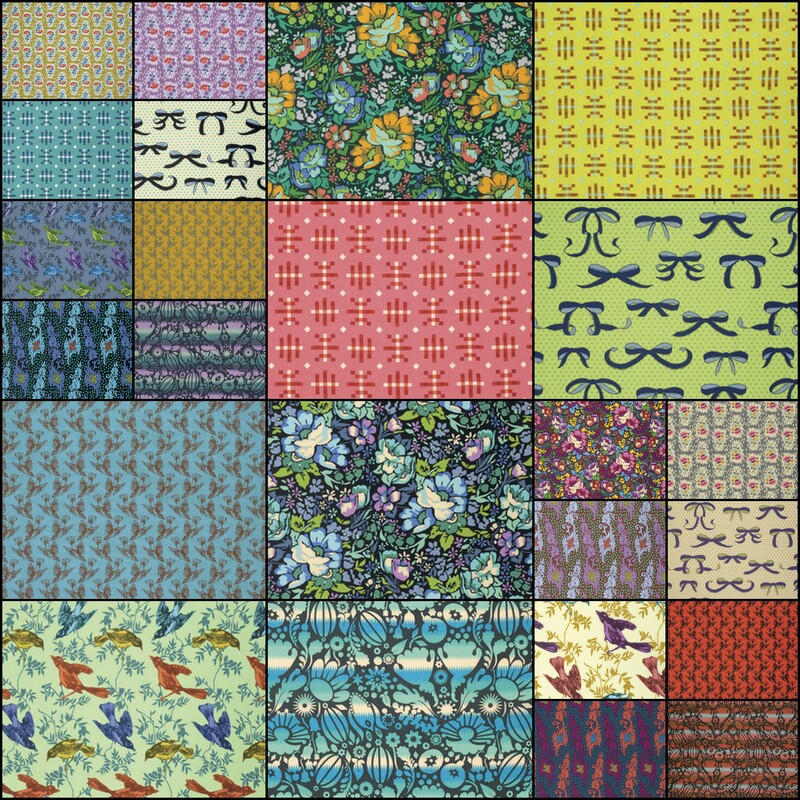 They are currently offering another fat quarter bundle called A Feather in Your Quilt by Birch Organics that are adorable. Ohhhh! Should I or shouldn’t I? I am also taking an online class on Crafsy. It is a machine applique class with Wendy Butler Berns. 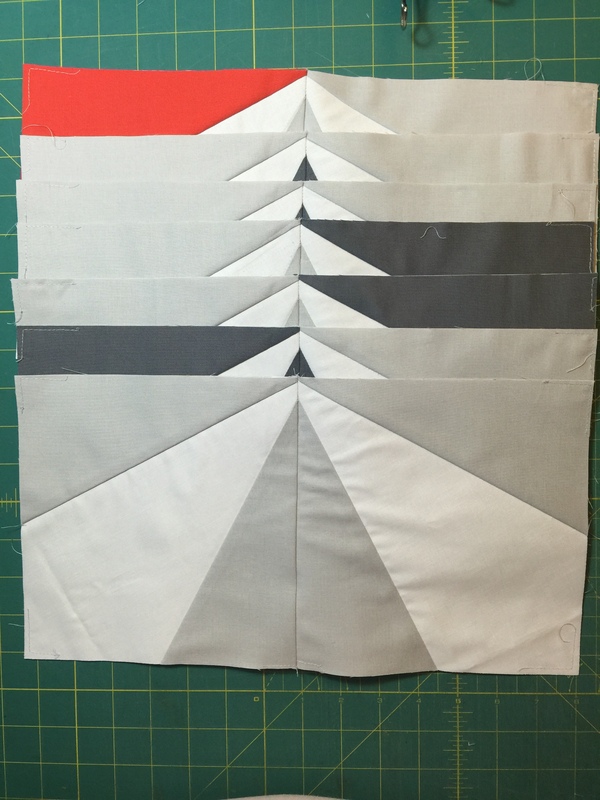 I have done quite a few applique quilts already, but was looking to learn something new. Although her book is out of print, I was able to find a used copy on Amazon. In the next week, I plan to start a quilt using her technique. I am challenged by it, but am excited about the possibility of how it will turn out. I likely won’t show it to you until it is finished and delivered. But, it will be different than anything I have ever done, which both scares and excites me at the same time. Linking up with Sunday Stash at Molli Sparkles.